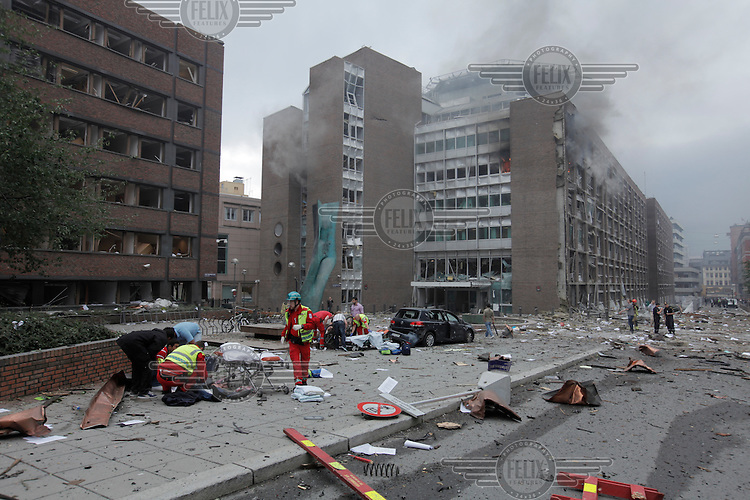 (July22,2010) A man is treated for injuries received after a large vehicle bomb was detonated near the offices of Norwegian Prime Minister Jens Stoltenberg on 22 July 2011. Although Stoltenberg was reportedly unharmed the blast resulted in several injuries and deaths. Another terrorist attack took place shortly afterwards, where a man killed over 80 children and youths attending a political camp at Utøya island. Anders Behring Breivik was arrested on the island and has admitted to carrying out both attacks.